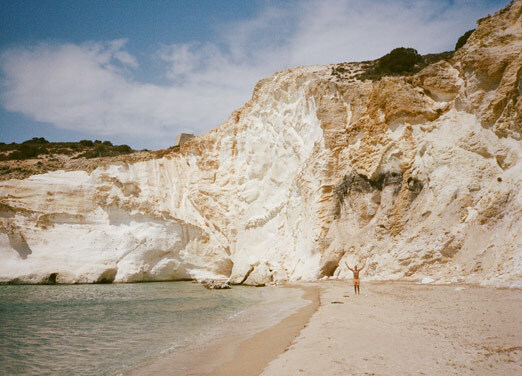 a look back on our trip to milos continues today with our favorite beach! one of the things we love to do most on vacation is have adventures on chartered sailing trips. this day we were especially lucky because we arrived late and the charters had all left for their day sails, but there was one captain left who had been planning on staying in and fixing up his boat. he was sweet enough to offer to take us out alone for a special price (OMG!) 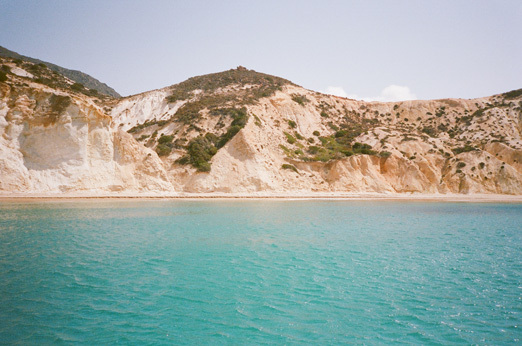 so we spent a full 9 hours exploring milos from sea! it was incredible, by far our favorite day there. and when we arrived at this incredible spot we were the only ones there (and truly felt for a minute like the only people on the planet). 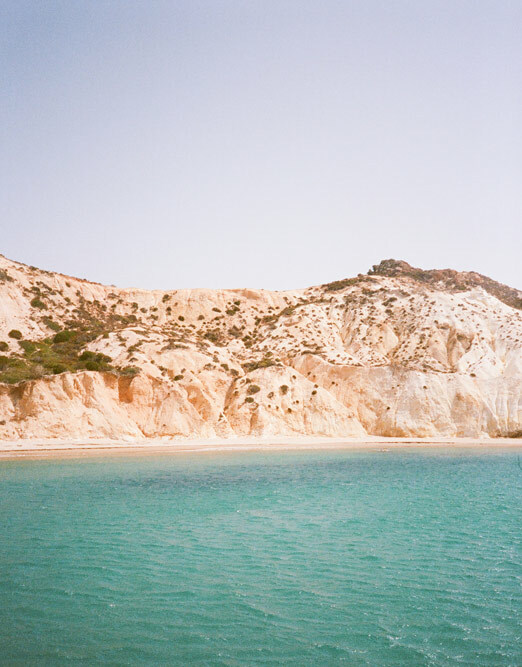 we swam to shore and explored the sandy beach, tucking rocks and driftwood into our swimsuits to bring home with us. the color of that water is unreal… truly paradise! what a fabulous idea for a vacation tradition! Oh my godness! This place looks incredible! Um, wow. This sounds like the most amazing day one could ever imagine. What beautiful photos and what a beautiful experience!! Play the most popular and mind twisting game the klondike solitaire here https://solitaire-klondike.net and complete the task of the game to be the winner.